David Arase explains how China’s rise to great power status amid deepening and widening regional interdependence profoundly changes both the question of Asian regional order and the requirements for stability at both the macro-regional and subregional levels. With the era of unipolar hegemonic order now ending, strategic interaction will determine whether the larger region achieves order based on bipolar competition, great power condominium, or multilateral regional governance. Asia Briefing. (2013a). Bangladesh-China-India-Myanmar economic corridor builds steam, [Online] October 25, 2013, Available from: http://www.asiabriefing.com/news/2013/10/bangladesh-china-india-myanmar-economic-corridor-builds-steam/. Accessed 21 Mar 2014. Jacobs, J. B. (2014, June 26). China’s frail historical claims to the South China and East China Seas. Washington, DC: American Enterprise Institute. Available from: https://www.aei.org/publication/chinas-frail-historical-claims-to-the-south-china-and-east-china-seas/. Jin, K. (2013). Can China build a community of common destiny? The Diplomat, [Online] November 2013. 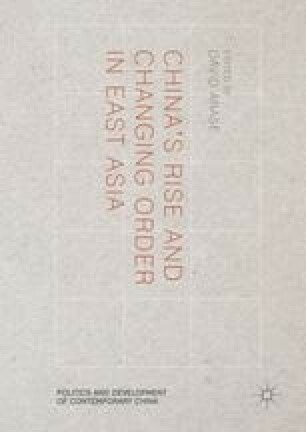 Available from: http://thediplomat.com/2013/11/can-china-build-a-community-of-common-destiny/. Accessed 21 Mar 2014. Ministry of Foreign Affairs of the People’s Republic of China. (2013) Xi Jinping: Let the sense of community of common destiny take deep root in neighboring countries, [Online] October 25, 2013, Available from: http://www.fmprc.gov.cn/mfa_chn/zyxw_602251/t1093113.shtml. Accessed 21 Mar 2014. Zhao, K. (2013). Common destiny needs stability, China Daily, [Online] December 31, 2013, Available from: http://www.china.org.cn/opinion/2013-12/31/content_31050741_2.htm, Accessed 21 Mar 2014.